Our aim is to help young girls thrive in this new, technologically driven world. We must give them useful Internet tools, creative online resources, and a lively community in which they can share their ideas and digital creations. 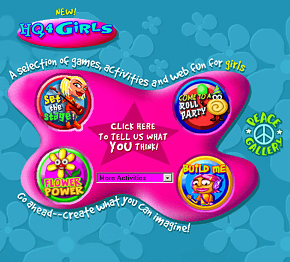 HQ4GIRLS was developed just for girls by the MaMaMedia team based on girls' input.